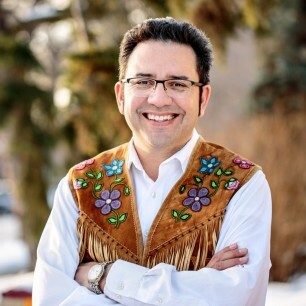 An internationally renowned storyteller and best-selling author, Richard Van Camp was born in Fort Smith, Northwest Territories, and is a member of the Dogrib (Tlicho) Dene Nation. He is the author of The Lesser Blessed (Douglas & McIntyre, 1996), a Canadian classic that has been adapted into a feature film with First Generation Films. He lives in Edmonton, AB, with his family.